Just two weeks before the runoff election, Toni Preckwinkle pulled her television ads. Preckwinkle dodged questions from reporters asking if the decision to yank the commercials indicated campaign financial issues. 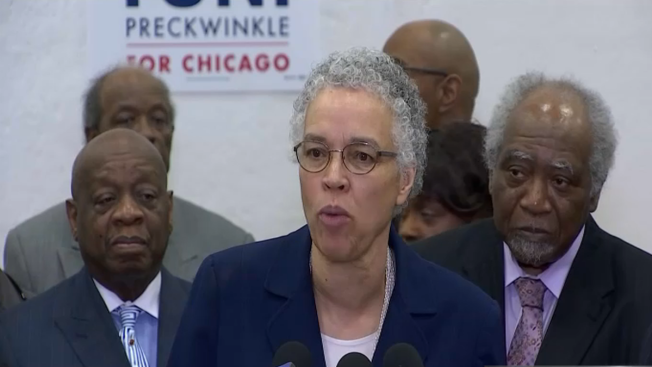 The candidate thanked her supporters—specifically pointing out those on the West Side of Chicago. Meanwhile, competitor Lori Lightfoot focused on her own campaign. “We have to continue to be focused on the things that are important to this campaign—which is reaching out to voters all across the city,” Lightfoot said Tuesday. “Building a city-wide coalition. And what we are hearing from people in virtually every neighborhood, is they want change." The candidates square off again in two televised debates later this week.